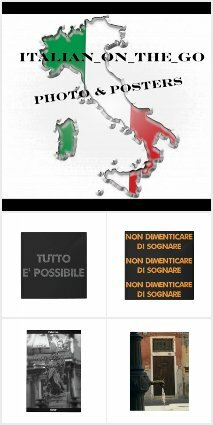 Italian_on_the_Go is a space to browse, explore, and shop for unique and custom Italian inspired gifts, cards, e-courses, and more! Explore the many unique products custom made via Zazzle, RedBubble, DesignbyHumans and Teespring. 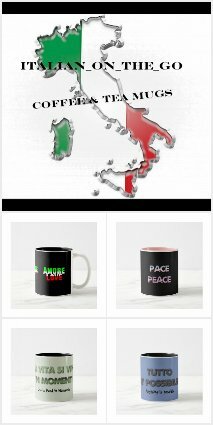 Search and find that unique and special gift for the lover of all things Italian! For all those with a special affinity towards Sicily, try Simple Sicilian Cooking with Nonna Grace offered via Udemy. Keep an eye out for more e-courses about Sicilian cuisine and the Italian language, culture, and art! Grazie per la visita--thanks for visiting and enjoy!